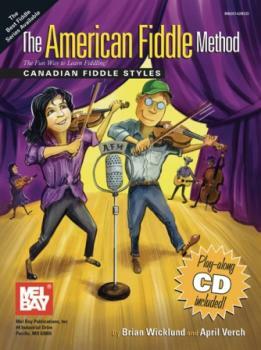 April Verch fans and fiddlers take note — April and Brian Wicklund have teamed up and written a method book, titled American Fiddle Method: Canadian Fiddle Styles. The book brings together fun-to-play standard Canadian tunes, digging deep into Canadian styles and teaching players how to develop their own variations using classic ornamentation and bowing patterns. This highly anticipated book features traditional tunes from each regional style of fiddling in Canada including Old Time Canadian, French Canadian, Cape Breton and Métis, as well as examples of the various types of tunes in the Canadian fiddling repertoire: reels, jigs, hornpipes, waltzes, schottisches, airs and strathspeys. Included with each book is the companion CD, enabling fiddlers to play along with April and the guitar & bass accompanists for a full 60 minutes. For more information, or to order, click on this link.